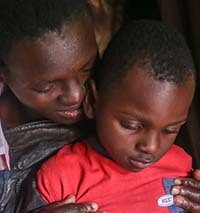 Coordinating Comprehensive Care for Children, or 4Children, is a 5-year, USAID-funded project improving the health and well-being of vulnerable children affected by HIV and AIDS and other adversities. 4Children draws on global evidence that illustrates that HIV and other hardships are best prevented and addressed when people have access to both high quality health and social welfare services. 4Children helps countries identify practical and appropriate policies, programs and services that reduce the risk of HIV and maltreatment, and promote children’s well-being. Its approach addresses the unique needs of each child and family, including strengthening the frontline social service workforce and case management systems. 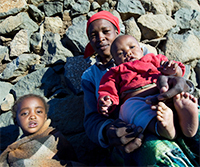 Tens of millions of children have lost one or both parents to AIDS-related illnesses and other adversities. Additionally, 36.7 million people are living with HIV, and millions more children face the effects of HIV on their family. While progress has been made in reducing death from AIDS, children still need protection and strong social systems to prevent the transmission of HIV and to mitigate the effects of HIV in their lives. 4Children and its partners improve the quality of life of these children by building the technical and organizational capacity—at all levels and relevant sectors—of government and civil society. 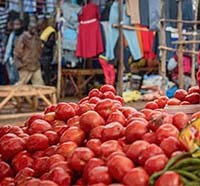 The project strengthens essential components of countries’ social service system, and improves connections between health and other sectors. As a result, government and civil society actors can better perform their functions and scale-up their work with proven outcomes for communities, families and children. At its core, 4Children builds the capacity of systems supporting vulnerable children. It develops and supports strong collaboration across all sectors to promote cohesive, strong national and subnational social service systems. By defining a shared vision, we ensure our assistance is demand-driven, context-specific and results-oriented. 4Children also engages children, families and communities to provide input throughout the project, so that programs respond to needs. The project addresses a wide spectrum of technical and organizational areas—such as strengthening case management and referral mechanisms—to enable governments and civil society organizations to better provide for and protect children. 4Children’s holistic approach assures integrated, comprehensive services. It develops technical guidance on areas like mental health, early childhood development and preventing and responding to violence against children. It draws on a country’s existing services to offer guidance and apply quality case management practices, ensuring children and their families can access all they need to be healthy, safe, stable and educated. 4Children builds the evidence base for effective care and protection interventions through rigorous operations research and evaluations of past and current interventions. 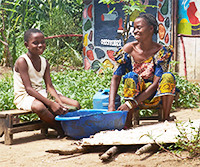 Research is ongoing in areas such as parenting interventions, social protection, and case management, 4Children uses evidence to document what works. 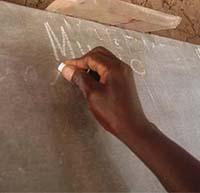 This is then used to inform national policies for vulnerable children, and influence the design of future interventions. 4Children is uniquely positioned to build evidence on what works, to apply our learnings directly to our program, and to help develop guidelines and policies for organizations and governments working with children. 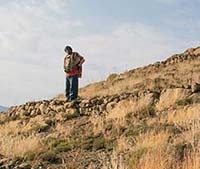 The project informs next-generation programming by managing platforms like ovcsupport.org, and by collaborating with global networks like the Global Social Service Workforce Alliance and the Better Care Network. Click on the highlighted areas of the map below to explore where 4Children works, what we do and more. 4Children assists orphans and vulnerable children by building technical and organizational capacity, strengthening essential components of the social service system, and improving linkages with health and other sectors. 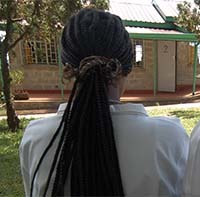 In one young woman’s case, connecting her with vocational training gave her the opportunity to build her capacity to support herself. Identifying a community’s vulnerable children and providing services that open doors to a fuller more productive life is, with 4Children, a vital but in a sense short-term goal. Strengthening a community’s capacity to continue to serve its children, their caregivers and families means sustained support long after the project’s end. Brigitte’s story illustrates that holistic health and well-being requires coordinated comprehensive care. 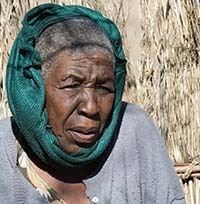 Brigitte is a mother of four children living in Masina 2. 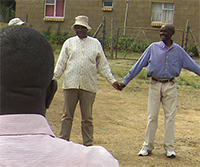 After her husband died of AIDS-related causes, and she and her 15-year old son shared that they are also living with HIV, they were rejected by her family and left without support. With recent large-scale studies, the scope of violence against children around the world has started to come into light. 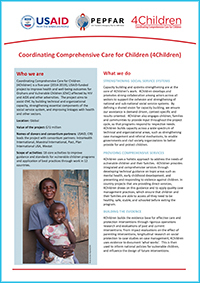 The Coordinating comprehensive Care for Children project (4Children) is strengthening social systems to sustainably prevent and respond to child abuse and neglect. But as this story from the 4Children project in Lesotho illustrates, the best response can come by empowering children themselves. Because a key focus of 4Children is building local capacity to serve those in need, many families who benefit from our work will never be counted by us. They will instead be served by a sustainable system of government and civil society organizations that will continue meeting 4Children goals long after our primary work is done. To learn more, contact the 4Children team at: [email protected].